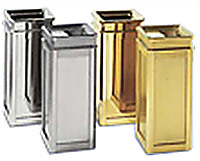 If you require receptacles or urns in plastic, fiberglass or in metal Capital has the solution. If you are looking for a specific designed urn to match your office or standard receptacles we can provide both options with the number of manufactures we carry. 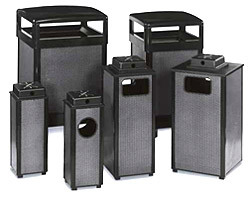 Available in a wide range of colors and sizes in plastic or metal. United Stainless Steel Collection - The elegance of stainless steel in mirror, satin and brass finishes compliment tasteful interiors.